You know, the traditional commercial kibble is actually an example of dry dog food. 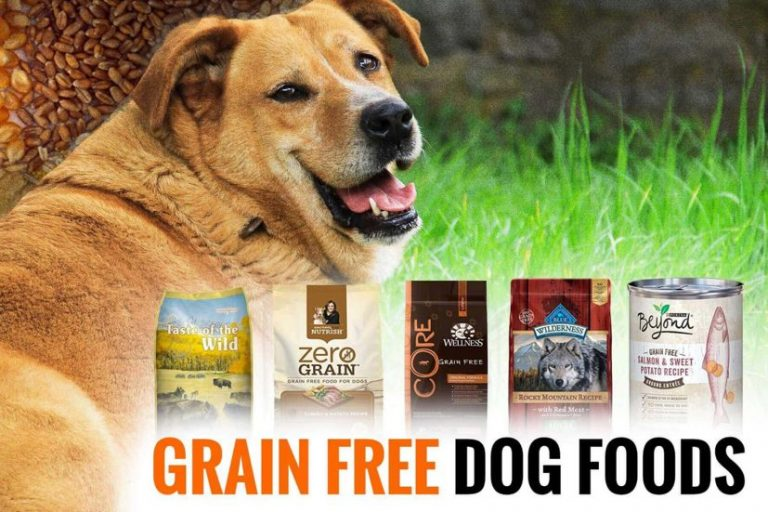 This dog food is made with very low moisture content. You can see it in the form of kibble. Many dog owners choose this type because of the most economical value. Also, this dog food offers other benefits. Indeed, it’s easy to store it in a specific dog food container. This is also a good choice for your dog to clean his teeth. It doesn’t require you to refrigerate because it doesn’t expire as fast as other canine foods. When choosing a dry dog food, it’s important to be careful due to full of artificial colors, preservatives, as well as flavors. This type is the opposite of dry dog food. It’s packed with very high moisture content. It’s available in a completely different texture. This is a great choice for dogs that have poor dental health since it doesn’t require them to chew. For these dog foods, you need to cook at a very high temperature. This is to sterilize the food. You can see this dog food in cans, pouches, or foil trays. Also, you can get refrigerated as well as frozen moist ones. This dog food is more expensive. However, it can last for a long time. There are two important factors to pay attention when purchasing canned dog foods, including the protein and water content. It’s best to choose ones with 100% nutritionally complete. Make sure you read the label carefully before purchasing. This dog food is not a popular form. However, it is a common type of dog treat. This type isn’t recommended highly because it offers the least nutrition compared to all the different types ofdog food. Moreover, this dog food is usually made of many artificial flavors as well as colors. This dog food actually looks like soft pellets. The food is available in a chewy texture. Before you decide to feed your dog a semi-moist diet, it’s important to see your vet to get the advice first. This type of dog food may be a good choice for your dog’s diet. However, it seems not to be the best option. There are two forms of raw dog food: freeze-dried or frozen. If you don’t keep the raw foods at cold temperatures, it may be susceptible to bacteria growth. If you are looking for a very healthy diet, you should consider these dog foods. However, they are very expensive. In fact, you will have to cost more at least twice than traditional dry kibble. This dog food can’t last long. Indeed, you only keep these foods in the refrigerator for 2-3 days. If you want to leave it in the fridge for 3-4 days, mix them with water. For frozen and freeze-dried dog food, it’s vital to pay attention to safe handling. Now, look at some things below. They are essential things to keep in mind once you want to choose this dog food. You need to wash all of any utensils you used to make the food after every dog’s meal. Remember to wash them in hot soapy water. Then, make them dry before being reused. Take a look at the state of the dog food packaging. This is to prevent your pet from any holes or tears. Don’t forget to wash your hands after you prepare a meal for your dog. Also, any surfaces need to be sanitized. For leftover food, you need to store properly as recommends of the manufacturer. It’s best to seal and refrigerate these foods on the bottom shelf of your fridge. In addition to fat, fiber, protein, and carbs, your dog’s diet also comes in a lot of other things. There are some common things you can see on a dog food such as enzymes, prebiotics, vitamins, minerals, and probiotics. In addition, you can see other things as chondroitin, glucosamine, as well as fatty acids. If you are giving your dog a good quality dog food, you also should provide him with any additional supplements. It’s only recommended for dogs with no health problems. It’s best to give your furry friend a balanced diet of nutrients and supplements. Your dog can get harm from a lot of additional supplements in some situations. You know, some of the nutrients may be destroyed by making at high temperatures. So, it’s important to add minerals and vitamins. However, avoid adding them too much. It may be harmful to your pet. It’s a great idea to add probiotics to your dog’s diet if you are providing him with raw or home-cooked dog foods. However, it’s not essential for dogs fed with kibble or canned food. Glucosamine or chondroitin should be considered for dogs with joint or mobility problems. But, avoid adding them in large amounts. It’s easy to buy them at your local drugstore. Also, you can buy online. Last, if you are looking for a good solution for your dog’s skin and coat, consider fatty acids like omega 3. You can get it from fish oil. Last, we want to recommend you to speak to your vet. Then, do some research. At the same time, think of your budget as well. It’s better to invest in a quality dog food. It’s beneficial for your dog’s overall health. As a pet owner, the most important thing to do is understand the different types of dog food in order to get the best choice for your dog. Then, you can keep him healthier and happier.